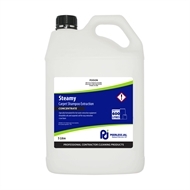 Steamy is specifically formulated for use in hot water extraction carpet cleaning equipment. Steamy is formulated from a unique surfactant system that emulsifies oils, suspends soils and shampoo residues commonly found in carpets. 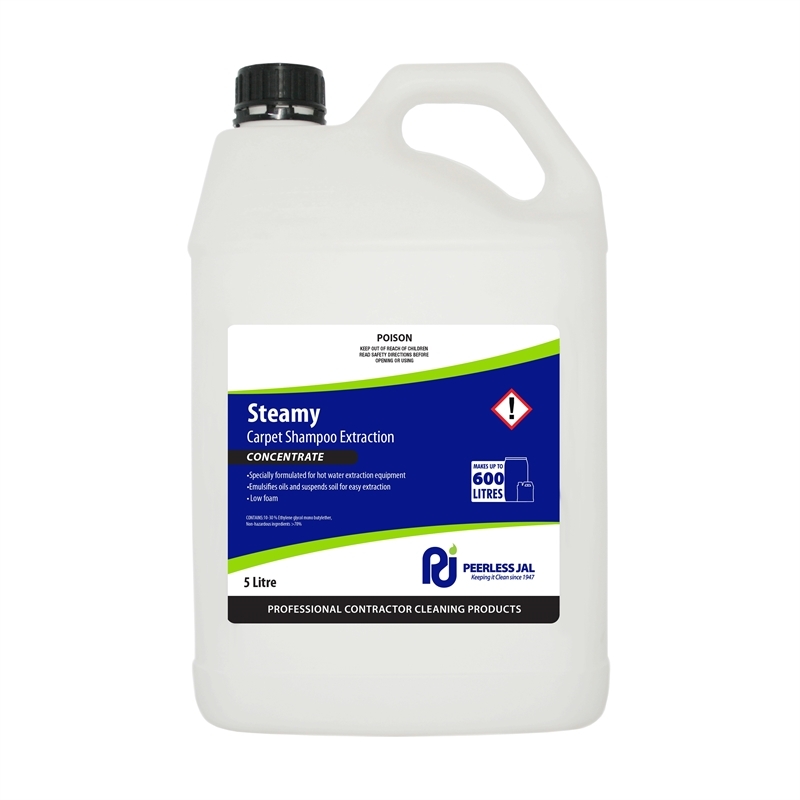 Steamy is a low foam, highly concentrated fluid containing a deodorant to eliminate wet carpet odours and leave carpets smelling fresh. Steamy is safe for all colours and fibres and will leave carpets bright, clean and free from sticky residues. Formulated for hot water extraction equipment. Suspends soil for easy extraction. Concentrate - Makes up to 600 litres. Dry vacuum thoroughly before using Steamy. Dilute Steamy 1 part to 10 parts water to spot clean where necessary or apply as a soil break for heavily compacted soils.